Most people notice the first signs of aging in their mid-to-late thirties. While it’s true that wrinkles, fine lines, and sagging skin are all part of the natural aging process, you don’t have to let your skin make you look older than you feel. 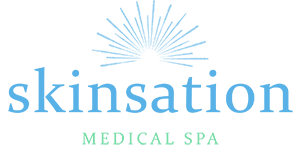 At Skinsation Medical Spa in Goodlettsville, Tennessee, Dr. Nadja Colon and her team of experts offer a wide range of cosmetic injectables, including Botox® Cosmetic and dermal fillers, to help patients in the Nashville area feel their best. To learn more, call or book your appointment online today. As a neurotoxin, Botox works by blocking the nerve signals that cause your facial muscles to contract, leaving your skin looking naturally smooth. Botox is FDA-approved for use to help improve the appearance of angry 11s, or the deep furrows between your eyebrows, and crow’s feet, or the smile lines at the corners of your eyes. It’s one of the most commonly requested cosmetic treatments because it delivers immediate results, as most patients begin to see smoother skin in 24-48 hours. The treatment carries few risks or side effects, and requires no downtime afterward. If you’re looking for a safe and effective way to temporarily reverse age-related facial deflation and wrinkles without resorting to surgery, dermal fillers can help. With immediate results, few risks or side effects, and little to no downtime, it makes sense that dermal fillers are one of the most commonly performed cosmetic procedures. This state-of-the-art collection of hyaluronic acid fillers is designed to instantly and subtly add volume to various areas of your face, including your cheeks and lips. This long-lasting dermal filler is designed to restore volume and correct wrinkles in the area around your mouth and chin. This filler helps smooth out and fill in moderate to severe nasolabial folds, or the wrinkles that extend from your nose to the corners of your mouth. This semi-permanent filler provides long-lasting structural support for smoother, younger-looking skin. It’s especially effective for reducing the appearance of wrinkles and acne scars. Another long-lasting dermal filler, Sculptra Aesthetic is designed to smooth out the smile lines and wrinkles around your nose and mouth. This advanced collection of hyaluronic acid fillers restores facial volume and corrects moderate to severe wrinkles to create a fuller face with smoother, more youthful-looking skin. Botox treatments usually last for three to six months, while many dermal filler treatments last for a year or longer. Depending on your individual treatment plan, Dr. Colon and her team can give you an idea of how long you can expect your results to last.